At ArchMasters-Orthotics, Shoes & Footcare, we strive to provide you with the best (and you will not find me saying that word too often) products to help you achieve functional support and comfort with style. According to the American Academy of Podiatric SportsMedicine, for the serious athlete, socks have become recognized as an essential component of footwear that can determine the difference between success and failure in athletic competition and training. Swiftwick is a brand of socks that we proudly carry. They can truly provide you with your various needs. They have multiple product lines that objectively provide breathability, durability, comfort, compression, and support. Swiftwick socks are geared entirely toward compression. Adequate compression has been shown to improve blood flow and circulation, which can aid in extending your endurance and peak performance. Every Swiftwick sock is a compression sock and they are fabricated right here in America. Their complex testing and fabrication techniques allow them to be the only company in America to exclusively manufacture moisture wicking, linked mtoe compression socks at 200 needle count in both a synthetic and natural merino wool fibers. This high needle count we see as the difference between a luxurious high vs. low standard thread count on a set of sheets or towels. The higher the count, the more comfortable the feel. It also aids in longevity and durability. The linked toe gives you a virtually seamless sock at the toe area providing smooth comfort and eliminates that nasty, irritating seam some socks have. 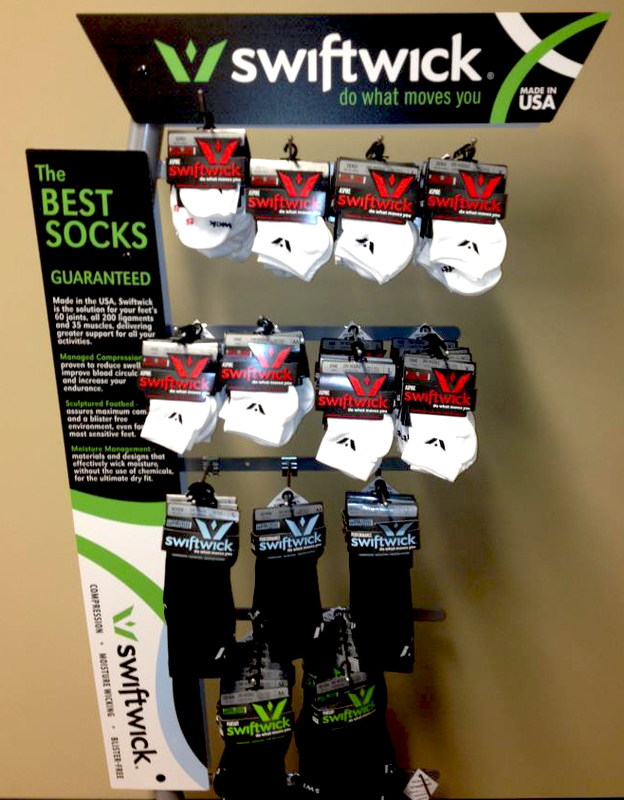 Swiftwick is becoming an extremely popular sock, especially in the Nashville area. It gets recommended and used by athletes in every type of sport all over the world. They are available in several different styles and size, all of which are ideal for different types of feet, activities, and conditions. If you want a sock to keep you dry and functional with your sport, this is the sock I recommend. Stop by today at ArchMasters-Orthotics, Shoes and Footcare, llc. Shoe gear and a whole lot more!